Sotheby’s Geneva auction results were mixed if we look purely at what sold and what did not. Last year, during the same auction, the total sale was CHF 77,919,025 compared to CHF 60,234,575 this year, a 22.6% drop. There were quite a few items of high value which failed to sell, which affected the total sale value. 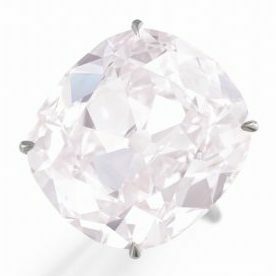 The 21.19 carat, Fancy Light Pink Diamond ended up being the top Fancy Color Diamond seller for the auction. 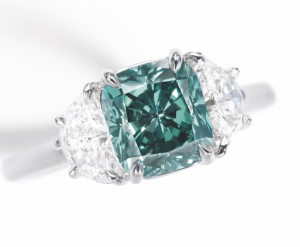 It was valued between $4.5 million to $6.5 million and ended up selling for $7,337,583 or $346k per carat. This is quite a high price per carat for such an intensity. There is a strong possibility that the buyer is seeing a potential of improving the color to a Fancy Pink, in which case, the price is a bargain. A potential 20 carat Fancy Pink with this clarity can have significant financial reward. The rare 2.02 carat, Fancy intense Blue, round brilliant diamond with Internally Flawless clarity sold for $3,354,041 or $1.66 million per carat, setting 2 world records. The records are for the 1-3 carat sub-category; Total value and per carat value. The 2.00 carat, Fancy Deep Bluish Green diamond which was valued at between $1.6 million to $1.8 million sold for $1,863,356 or $931.7k, prompting a world record for such a color in auction. 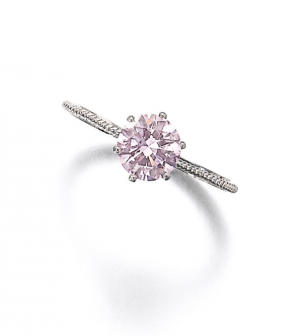 A 1.05 carat, Fancy Pink, round brilliant with a VS1 clarity sold for $279,503 or $266.2k per carat, after being estimated to sell between $100k to $150k. This is a world record per carat for the 1-3 carat sub-category. 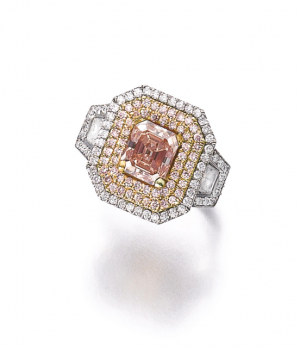 The 1.61 carat, Fancy Intense Pink diamond with SI1 clarity was sold for $180,124 or $111.9k per carat. 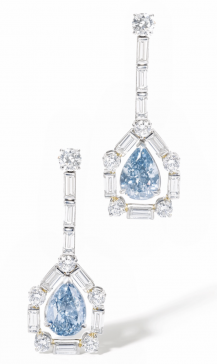 The pair of earrings holding the 2.61 carat and the 3.06 carat, Fancy vivid blue diamonds did not sell. Their high depth, made them look smaller than their actual weight, and did not meet the low estimate of $8 million. 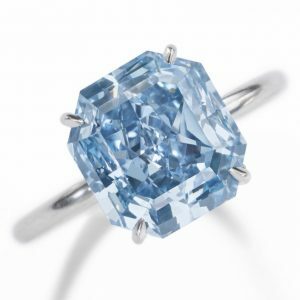 The 5.04 carat, Fancy Vivid Blue with SI1 clarity also went back home when it did not meet the low estimate of $9 million as well ($1.76 million per carat). It is due to the clear inclusion under the table. At the end of the day, investors and collectors are seeking unique items, and these individuals are becoming more and more sophisticated, looking beyond the certificate grade of color. The two blue diamonds that went unsold are a testament to this sophistication. It is becoming harder to find the right item for the right price, leaving investors to pay a fair price and the requirement to hold for a longer period of time. 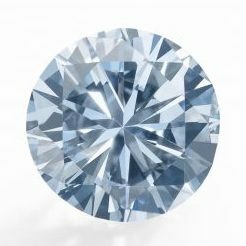 The majority of blue diamonds in auction these days are coming back from secondary market.